This service covers an Inspection for the purpose of ascertaining if asbestos and/or asbestos composite materials are on site. 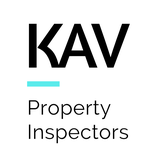 KAV provide a service that includes the inspection, removal of material and testing. Many structures of all types, built prior to 1990 are likely to be housing asbestos and/or asbestos composite material. Even after this period, pending use of second hand material and/or old stock being used. Particularly and most commonly located within wall and ceiling linings, sheeting to gables, eves and roof sheeting. In some cases materials containing asbestos may be sound, seeing particles encapsulated. In most cases we find the product or material has deteriorated, allowing particles to escape. Large displaced particles may be found within close proximity to the areas in which the offending material is housed, yet more often finer dust like particles escape and can be transported well beyond the area from where the material is housed. Encapsulation of materials can render the area safe, yet in most situations the entire subject cannot be reached to treat. Asbestos removal is the only permanent solution to the problem. Asbestos Testing falls within the Australian Standard AS 4964 and is executed within a Laboratory. Testing of Air quality within the region can also be executed. Asbestos testing does not provide a risk assessment. It provides info as to the sample only and from a specific location. The fee for this service can vary pending extent of work involved. KAV accept enquiries void of any cost and/or obligation to assist in evaluating the extent of work.